A man who died in an incident in the Scottish Borders on Boxing Day has been named as 53-year-old Kevin Armstrong, from Heiton. His body was found at a property in Ladyrig View in Heiton on Tuesday 26 December 2017, in which Pauline Cockburn, aged 48 and from Kelso, was also found dead. Pauline Cockburn's death is being treated as murder while Kevin Armstrong's death is not suspicious. Investigations are ongoing, but police are not looking for anyone else in connection with the deaths. 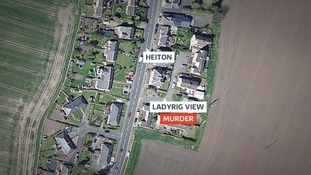 The body of 48-year-old Pauline Cockburn, from Kelso, was found along with the body of a man at a property in Heiton.